With over 55 years of being in business, and having established an enviable safety record, we cannot stress the importance of safety enough. 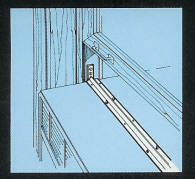 Nearly all safety problems are due to poor or dangerous installation. 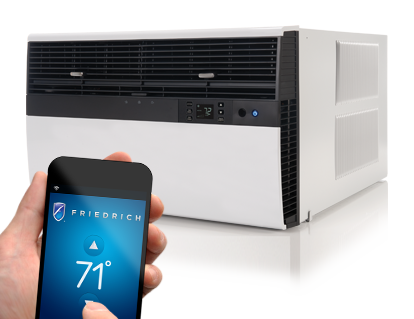 Consumers would be surprised to learn that each year, hundreds of air conditioners fall out of windows. Occasionally, they injure and even kill passersby. In addition to the tragedy, there is the strong possibility of lawsuits - which is another reason adequate liability insurance (we have a $10 million policy) is so important. Most of the accidents are due primarily to careless installation, or when flimsy, accordion-type bellows are used. Usually, one piece units require extra care, and they are potentially riskier than units in a slide-out chassis; the latter allow for easier access and easier cleaning. Brackets are usually used for installation. On a more advanced level, Air-Wave developed the "Saf-T-Bar" to hold units securely in place, even with the window open. The Bar, engineer-approved, is an option for which there is a nominal charge. It bolts securely onto the air conditioner's shell and fits tightly into the window frame. Air-Wave's installation professionals always made sure an installation is secure - the importance cannot be overestimated.